Anyone who’s employed knows the importance of payment. If there’s something that you want, you have to pay for it. If there’s a certain place you want to go to, then you have to pay for that too. Every purchase requires payment, and the higher the quality of the product or service, then the higher the payment. However, there are bound to be different ways of payment. How does one go about this? 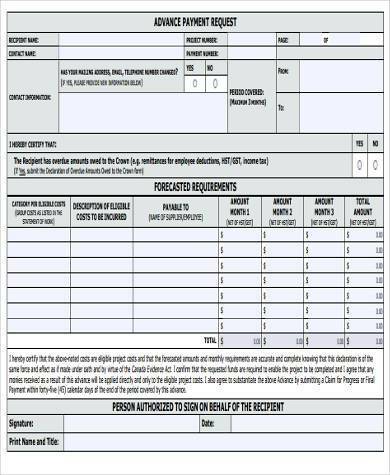 There are Payment Request Forms that allow an individual to sign up for an advance for their payment, which can easily solve issues and release money ahead of time, ensuring that they get the product or service they desire. 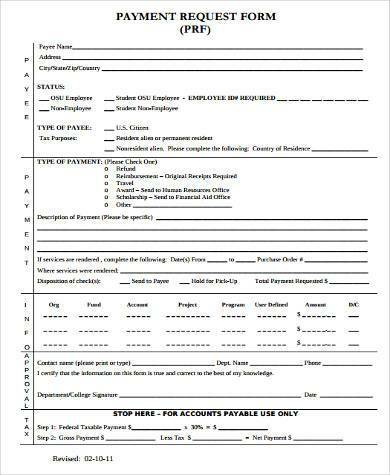 Check Request Forms are used when people wish to pay in the form of a check. 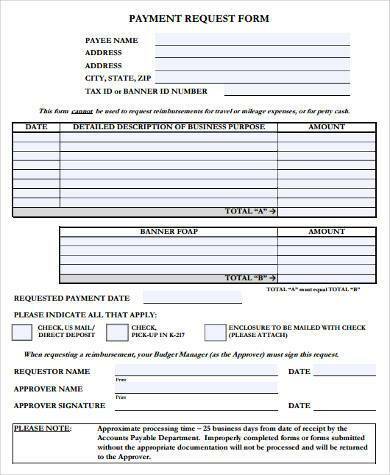 This is easier but at the same time risky, as a blank check could be used by anyone. 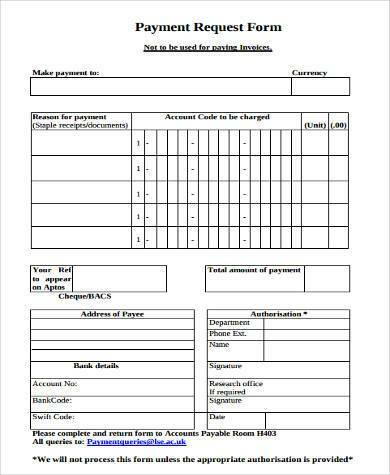 Basic Payment Request Forms are for those companies that sell their products or services and require only basic payment. Basically, payment such as paying cash up front is what’s usually meant by basic payment. 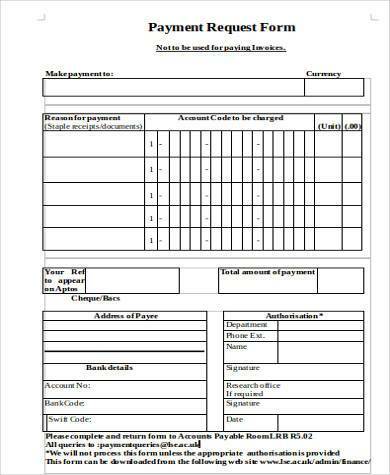 Payment Request Voucher Forms are for those people who use vouchers to pay for products or services. Places such as coffee shops or department stores usually accept payments in the form of vouchers, provided they have that option. 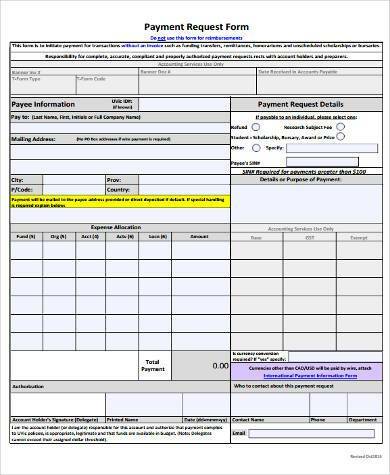 Advance Payment Request Forms are forms that allow people to make an advance payment on any product or service. They can even pay for a product at its full price ahead of time before even receiving it. 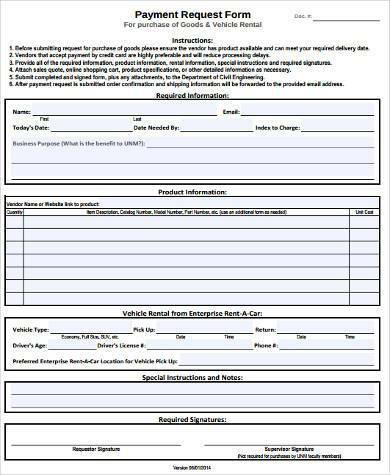 Payment Request Forms such as Check Request Forms can be very helpful for those who currently don’t have physical monetary bills to pay for certain products. These can be very convenient because with these you don’t have to carry actual money in your wallet. 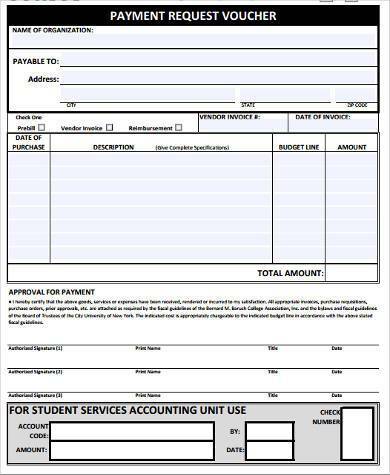 You can just sign a check or hand out a voucher and it can easily speed up the purchasing process. Let’s say that someone pays in the form of a check. If that someone accidentally wrote the wrong company name or amount, then it could mean the loss of finances. If people make advance payments and find out that the product might not even arrive on the day it was agreed upon, or the quality of the product was not what it was expected, it could potentially mean a waste of finances and a waste of time.